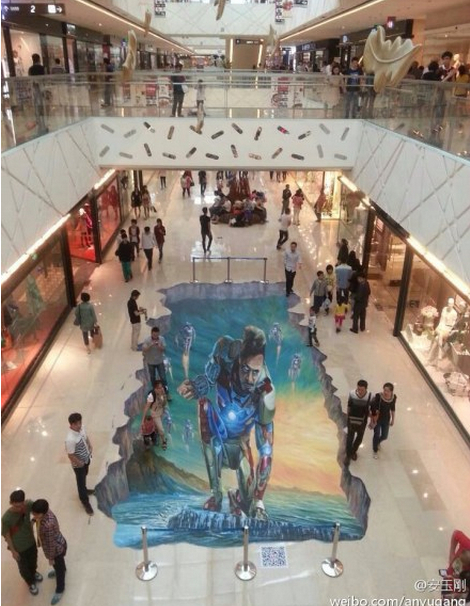 A giant standee outside a Wanda theater promotes Iron Man 3‘s May 1 debut. Because the PRC is currently in the middle of its Labor Day holiday, official box office reporting is delayed, so I’ve cobbled together numbers from my own sources to provide a snapshot of what’s been happening in China. Please bear in mind that the numbers that follow are subject to adjustment when the official figures are released. Nationwide box office last week totaled $56.6 million, 16 percent more than the same week last year, which was boosted by Titanic 3D. The year-to-date total for 2013 is now running 35 percent ahead of last year, with most of the year’s biggest movies still to come. Youth romance So Young led the week with its exceptional 3-day opening weekend total of $22 million. Including its Monday and Tuesday grosses So Young has reached $43 million in just its first 5 days, which points to a likely $100+ million run. Lost in Thailand grossed $47 million in its first 5 days and went on to a $201 million total, though So Young faces a more competitive market so I don’t expect it will hit that lofty mark. G.I. Joe: Retaliation took second place with $10.9 million, a 67 percent drop from its $33.4 million debut week. G.I. Joe will fade fast now that it has been knocked off most of its screens by Iron Man 3 (which opened with a massive midnight screening campaign in the wee hours of May 1st), but will finish up its China run with a respectable fifty-plus million total, second best among American films so far this year and fifth best overall. Dreamworks Animation’s The Croods has enjoyed strong word of mouth and picked up nearly $10 million in its second week of release for a $16.6 million cume. Because it will continue to hold many of its screens—roughly 1,500 or so—through the end of this week, Croods should continue to draw well and finish with over $25 million. Films winding down their runs this week include romantic comedy Finding Mr. Right, which rang up roughly $84 million, and war comedy The Chef, the Actor, the Scoundrel, with $44 million. The biggest story today is Iron Man 3, which after a confusing series of release date announcements by China’s film authorities finally kicked off its midnight screenings on May 1st. The film’s producers were concerned that with all the conflicting news, moviegoers might not have been aware of the actual opening times, but they needn’t have worried. Nearly every single one of the 1,500 midnight screenings that were originally scheduled was completely sold out. To meet audience demand, theaters added another 500 midnight screenings, plus untold additional 2:30am and even 5:00am screenings. It’s still too early to call, but initial reports are indicating very good things ahead for Iron Man 3. With all of those sold out auditoriums it has a good shot at beating Titanic 3D’s midnight screenings total of RMB 10 million ($1.62mm), and possibly even Transformers 3’s all-time midnight record of RMB 12 million ($1.95mm). And with a record 30,000 screenings set for May 1st, fully 40 percent of China’s total screen capacity, Iron Man should draw a very large first-day total. This entry was posted in Analysis, Box Office Reports and tagged Finding Mr. Right, G.I. Joe: Retaliation, Iron Man 3, Rob Cain, Robert Cain, So Young, The Chef the Actor the Scoundrel, The Croods, Titanic 3D, Transformers 3 by chinafilmbiz. Bookmark the permalink. Do you mean 3000 screens? Steve, no, it’s correct as written. 30,000 screenings on May 1st on roughly 5-6,000 screens.